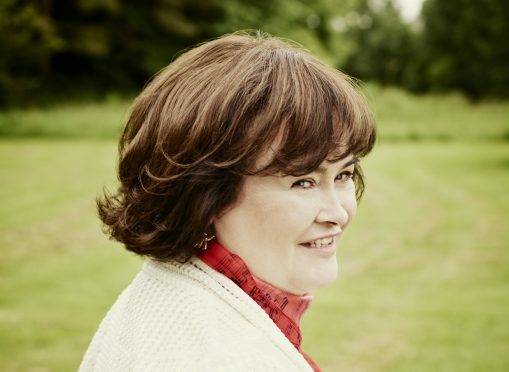 Singing sensation Susan Boyle has built up a loyal support base in the north of Scotland. She also backed the Press and Journal’s “Share the Cheer” Christmas campaign last year. And now, the Scottish singer is celebrating a decade in the music industry with her new new album TEN. The 17-track work features her favourite recordings from the past 10 years, and four never heard before tracks, which she has chosen to keep a surprise for her fans. Ms Boyle said: “I am really proud of this album, it has my favourite tracks from over the years and I hope you get as much joy out of it as I have had working on it and choosing the songs. “I’m a lady who likes to surprise, which is why I want to keep the four new songs a secret for now and give you something to look forward to! Last month saw Ms Boyle step back into the public eye when she performed her iconic rendition of Wild Horses on America’s Got Talent: The Champions, and saw her receive the coveted golden buzzer, sending her straight into the finals. On Monday, February 11, her next performance airs on NBC and Netflix in the UK and the rest of 2019 looks set to be just as hectic with live performances, TV specials and her new album. It’s 10 years since she stepped on to the BGT audition stage, dazzled her way through I Dreamed A Dream and in the blink of an eye went from unknown to global star having surprised the judges, audience and anyone with access to YouTube. Her list of achievements makes compelling reading. It includes more than 23 million albums sold, and her audition video was the most watched Youtube video ever ,beating President Obama’s inauguration five times over.